University Press Week is here: Time to #TurnItUP! Your inbox is full from the weekend. You can’t figure out which problem to tackle first. Wouldn’t you rather pour a cup of coffee and go traveling? Fortunately for you, it’s University Press week, and we’ve got a blog tour kicking off today! Set your browser humming with these offerings: •Duke University Press writes about how partnerships with museums have helped them build a strong art list. •Athabasca University Press offers a playlist by author Mark A. McCutcheon of all the songs featured in his book The Medium Is the Monster: Canadian Adaptations of Frankenstein and the Discourse of Technology. •Rutgers University Press dedicates a post to our their book Junctures in Women’s Leadership: The Arts, by Judith Brodsky and Ferris Olin. •Yale University Press features a post by author Dominic Bradbury about how immigrants enrich a country’s art and architecture. •University of Minnesota Press is running a post about their author Adrienne Kennedy, who will be inducted into the Theater Hall of Fame on November 12th. That’s just the start of a week full of reasons to #TurnItUp! . . .
Is the book of the year already here? That’s what Alan Jacobs thinks. 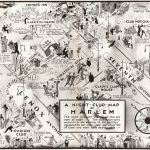 In one of the strongest reviews we’ve ever read (and we read a lot of reviews), for the Weekly Standard, he praises The Writer’s Map: An Atlas of Imaginary Lands to the skies: Barring some unforeseen miracle of publishing occurring in the next few weeks, The Writer’s Map will be my book of the year for 2018. It gathers intelligently charming meditations from writers and festoons them with map after map after map after map of imaginary, and sometimes non-imaginary, lands. (Only after several days of staring at the beautifully reproduced images did I force myself to read the words, but I am glad I finally did.) I am so enamored of this book that I bitterly resent what takes me away from it, whether that be the need to eat, or sleep, or write this review. But when duty calls, I sometimes answer. We couldn’t agree more. 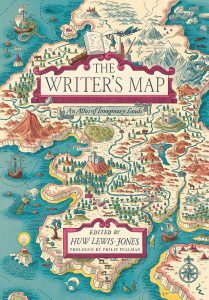 In this oversized, richly illustrated volume, editor Huw Lewis-Jones has gathered a roster of stars—folks like Philip Pullman, Lev Grossman, Miraphora Mina, Robert Macfarlane, and many more—to share the stories of how they, as writers, engage with, explore, and are enchanted by maps. This is a book for everyone who remembers huddling . . . This coming Friday will mark the end of a remarkable era: University of Chicago Press Marketing Director Carol Kasper will retire after more than 23 years as head of the Marketing Department, and nearly 38 years working at the Press. We’ll let Press Director Garrett Kiely tell the story: By any measure, January 20, 1981 was a momentous day. Ronald Reagan was sworn in as the 40th President of the United States, the Iran hostage crisis ended, and Carol Ann Kasper started work at the University of Chicago Press as a part-time receptionist in the Journals Division. When Carol arrived at the Press in 1981, she was not a stranger to the University of Chicago. She was an ABD doctoral student in the English Department who had earned an M.A. in American Literature from the University after graduating with a B.A. in English and a minor in German from Case Western Reserve University (She put that German experience to good use on her many visits to the annual Frankfurt Book Fair). She was promoted to full-time Marketing Copywriter later in 1981, Direct Marketing Manager in 1983, and was named Marketing Director in 1995. She has enjoyed a storied 23-year tenure . . . Historian Susan Schulten takes us on a deep dive into the fascinating story behind a favorite map from her new book, A History of America in 100 Maps. In 2016, the Beinecke Library at Yale University paid $100,000 to add Elmer Simms Campbell’s energetic profile of interwar Harlem to its celebrated collection of black history and culture. The Library described Campbell’s image as a “playful rendering” of the age, but it also captures the complex dynamics that made Harlem the cultural capital of black America. Campbell’s success may even have surprised him. After studying at the Art Institute of Chicago, he moved to Manhattan in 1929 to seek work, though faced a string of rejections due to his race before catching a break at the newly founded Esquire magazine in 1933. For the next four decades, Campbell supplied the magazine with cartoons and illustrations that shaped its knowing, urban, and often cheeky sensibility. Though he initially struggled to find work, Campbell immediately found in Harlem’s jazz scene. He quickly befriended Cab Calloway, who, along with Duke Ellington, presided over legendary performances at the Cotton Club. The men became drinking buddies and regulars at Harlem’s famed clubs and speakeasies, all of . . .
David Rapp has had a long career as a political journalist–including serving as editor of Congressional Quarterly. But he’s always been as much a baseball fan as a politics junkie, and this spring we published his first foray in that realm: Tinker to Evers to Chance: The Chicago Cubs and the Dawn of Modern America. Booklist called it “a potent reminder of how American first fell in love with its national pastime,” while Chicago magazine praised Rapp’s account of “a changing America that became suddenly and almost inexplicably gripped by baseball fever.” We asked Rapp some questions about baseball, then and now, and how it became what we’ll be watching in the playoffs tonight. It’s almost hard to imagine America without baseball. But clearly the sport had to start somewhere. Can you talk about what baseball was like at the turn of the century? After captivating American crowds with a freewheeling, if also rule-bending, form of entertainment in the 1880s, organized baseball turned cynical and sour in the 1890s. The players were crude and foul-mouthed. The fans were raucous, hungry for violence, and they cheered for mayhem on the field. And the owners were blatantly corrupt. Emerging fads like bicycling and “pedestrianism,” or walking races, . . .
Leo Durocher (1905–1991) was one of the most colorful characters in baseball’s storied history. A playing career that ran from 1925 to 1945 saw him in the uniforms of the Yankees, Reds, Cardinals and Dodgers; he won world championships with New York and St. Louis. In the last years of his playing career, he also took up the managerial reins, winning a pennant with the Dodgers in 1941. After hanging up his spikes, he continued managing until 1973, taking the Giants to the World Series in 1951 and winning it with them in 1954. In Chicago, he’s best known for managing the 1969 Cubs, who blew a giant lead down the stretch and lost the pennant to the Miracle Mets. Through all of this, Durocher’s wit, antics, and irascible personality made him a household name—and a regular guest on radio talk shows in the medium’s heyday. In 1975, Durocher hooked up with veteran writer Ed Linn to write a memoir, “Nice Guys Finish Last.” It quickly became a baseball classic, and the University of Chicago Press was proud to issue a new edition in 2009. 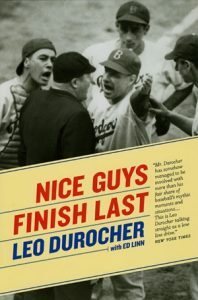 In this excerpt from “Nice Guys Finish Last,” Durocher explains the book’s title . 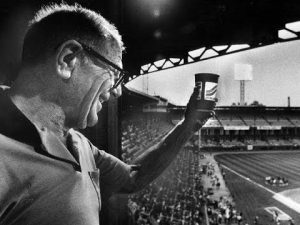 . .
Any time you go to a baseball game today, you’re experiencing the legacy of Bill Veeck (1914–1986). Fireworks shooting from the scoreboard? Veeck. Concession stands all over the park? Veeck. T-shirt cannons and bands and on-field antics? Well, he didn’t have the tech to do that first one, but it’s definitely in a family with the latter two, and those were Veeck to a T. Oh, and when he was just a young man, working for his father, owner of the Chicago Cubs, he sold the team on growing the ivy. In a long career as a frequently cash-strapped owner of some, well, pretty bad teams, Veeck pursued innovation like few other figures in all of baseball history. Though he’s now best known for a stunt in 1951 in which he sent a 3-foot, 7-inch man named Eddie Gaedel to the plate in a White Sox game, wearing the uniform number 7/8, Veeck’s most lasting contribution to the game was to remind everyone—but particularly owners—that it was being put on for the fans, and that meant it should always be entertaining. As Ed linn, who teamed up with Veeck in 1962 to write his classic memoir of his time in . . .
(John Thorn, photo by Alison Richards; Bill Savage, photo by Rich Lalich.) In 1984, John Thorn and Pete Palmer helped launch what would become the sabermetric revolution in baseball by publishing The Hidden Game of Baseball: A Revolutionary Approach to Baseball and Its Statistics. More than thirty years later, we have seen the game of baseball absorb the insights of Thorn, Palmer, and those who came in their wake in a way that no one could ever have predicted back in the days when RBI, batting averages, and pitcher wins were king. In 2015, we were proud to bring The Hidden Game back into print. 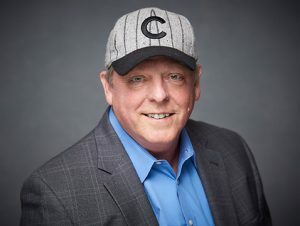 To kick off the baseball playoff season, we hooked up our old friend Bill Savage, lit prof and Cubs fan, with John Thorn to talk about the book and the game. In The Hidden Game, you and Pete Palmer helped explain new forms of baseball statistics to fans (and the powers-that-be in The Game). Many of these stats have come to be widely accepted, despite the stubborn adherence to BA/HR/RBI and W/L records among the more retrograde fans. Which of the even more recent statistical categories do you think most add to our understanding and enjoyment of . . .
Has there ever been an era in human history in which communication slowed down? Or is the increasing rate at which information is shared a historical constant? My money’s on the latter. In attempting to navigate the flood of information online, which seems in no danger of slowing down, it’s pretty much sink or swim. 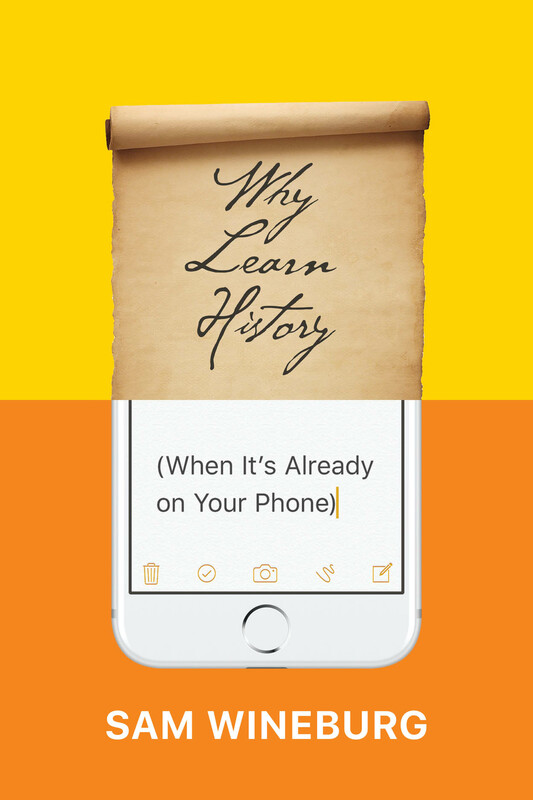 So why not invest some time checking out Professor of Education and History at Stanford University Sam Wineburg’s new book Why Learn History (When It’s Already on Your Phone). Confronting head-on the deluge of information that modern technology has made available, and offering crucial tips for navigating it, Wineburg’s book is of value to citizens and students alike, offering readers a tool set for vetting and verifying the myriad sources of information we encounter online, while laying bare the many rhetorical devices used to spin and bias purportedly factual information. 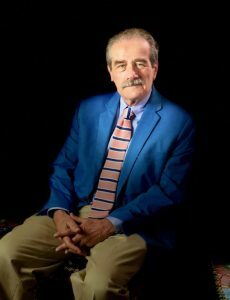 Recently Slate magazine has invested a decent sized chunk of their online real estate to what Wineburg has to say, with an eye-opening interview with the author as well as an excerpt from his new book in which Wineburg offers an insightful and penetrating critique of Howard Zinn’s classic, A People’s History of the United States. Wineburg . . . In her book Phoenix Zones: Where Strength Is Born and Resilience Lives, Dr. Hope Ferdowsian draws on her experience working as an internist and public health physician around the world with survivors of trauma, including sexual violence. In this guest post, she offers her opinion, informed by the work she draws on in her book, on the US Senate’s approach to the allegations against Judge Brett Kavanaugh. The views and opinions expressed in this article are those of the author and do not necessarily reflect any official policies or positions of the University of Chicago Press. Process Matters to Sexual Violence Survivors: The Senate Should Pay Attention Dr. Hope Ferdowsian The US Senate leadership is inappropriately rushing to a vote in their attempt to confirm Judge Brett Kavanaugh, an alleged perpetrator of sexual assault, to a lifetime Supreme Court appointment. Immediately after learning of the alleged assault and the victim’s name, many members of Congress dug their heels in the sand, refusing to relent even after new allegations surfaced. Rather than launching an investigation, some members of the Senate have spent their time attempting to demean and bully Dr. Christine Blasey Ford, Mr. Kavanaugh’s accuser. The matter has become more and . . .